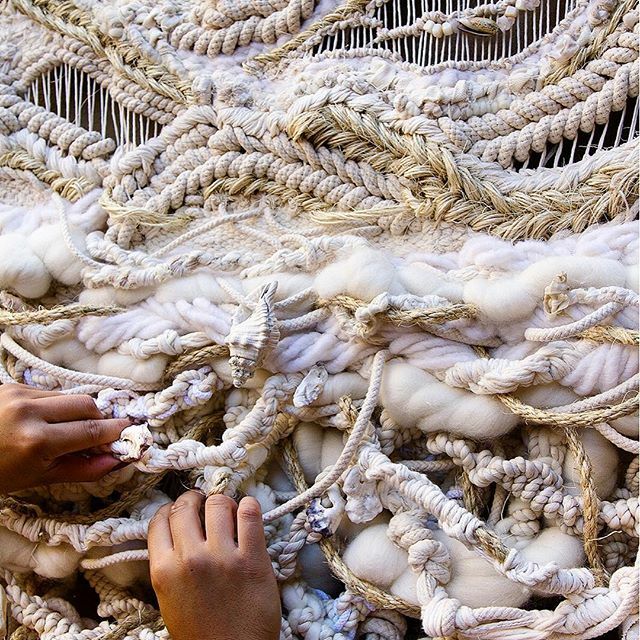 How does Crossing Threads "celebrate the revival of the hand-made through a 'Gen-Y' lens"? 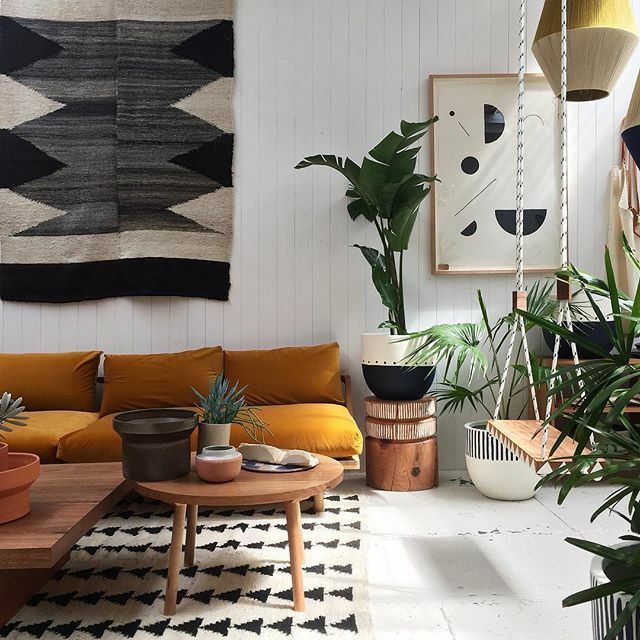 With the recent resurgence of handmade craft, our 'digital' generation is becoming more detached from real-life and tangible experiences, causing us to search for meaningful ways to reconnect. Art enthusiasts and trend-hunters value our work because they are ‘one-of-a-kind’ pieces that pay homage to the ‘handmade’ and are not the result of mass production. In the same vein, consumers are becoming more cognizant in supporting local makers and Australian-made products. Crossing Threads also appreciates the growing awareness of sustainability and we are always finding ways to reduce our waste. For example, no wool scraps go to waste as we get these re-spun into new fibers, just like breathing new life into the old. Our raw, abundant and organic custom pieces have a great deal of commercial value and appeals to the current design trends. Most of our pieces are inspired by multiple sources, whether it is the textures and colors created by Mother Nature or textiles found during our travels. 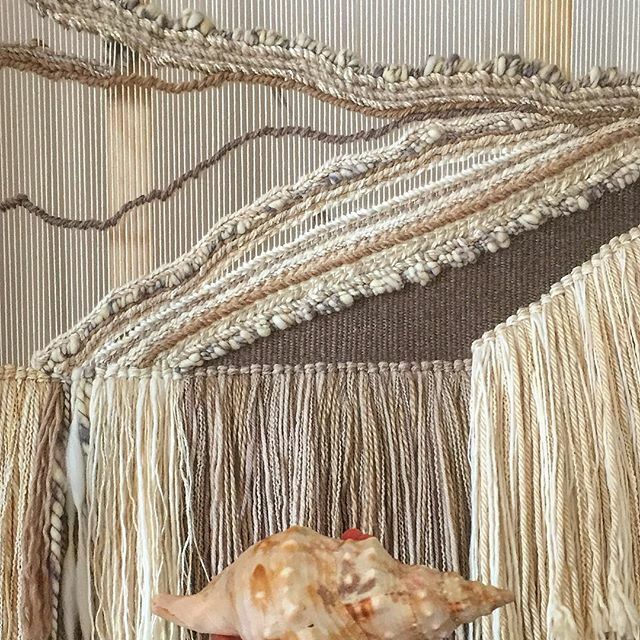 Crossing Threads manages to invert the traditional practices of this ancient craft, by using non-traditional materials as part of our weaving practice. 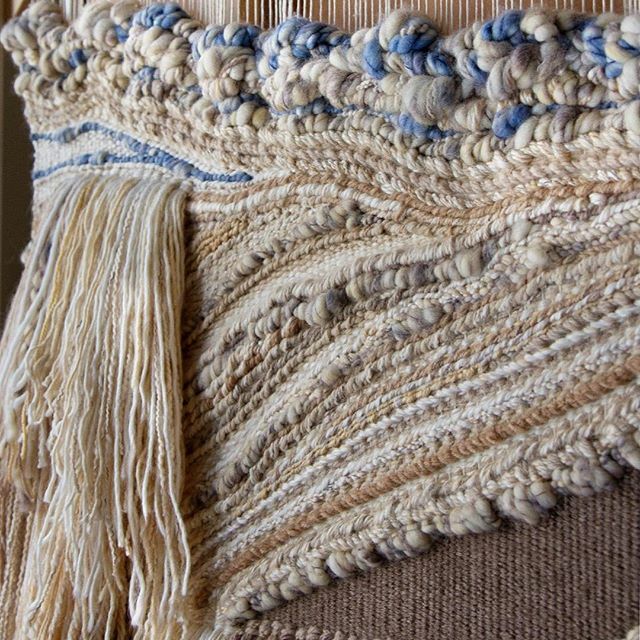 We use a variety of up-cycled fabrics, thrifted fibers, and discarded materials we have collected along the way. 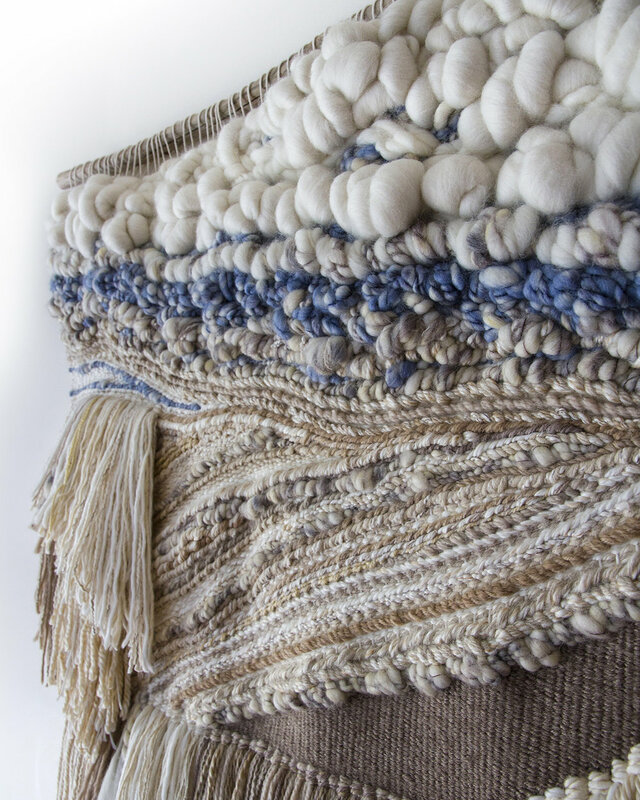 Using upholstery samples, discontinued materials, leather off-cuts, and old clothing challenges us to think of innovative ways to incorporate these up-cycled fabrics into our work. The result of using these materials mixed in with luxe fibers sets our aesthetic apart, makes each piece unique, and keeps its integrity and individuality. Where do you see your work being displayed and why? Our work has graced the walls of residential and commercials spaces. We have been so grateful that our pieces have become statements of art. Interior stylists have featured our work in their styled spreads and provided a creative flair that is both unique, soft, and warms any dwelling. On a deeper level, we have created pieces that resonate with people and we hope to continue to communicate our shared life-experiences through fibers. Through weaving, we breathe through our hands and allow our inner conversations to come out and take a life of their own. The meaning behind our work has led to a strong connection with our customers. Many of them can relate to the daily struggles that we all try to overcome, of which are symbolic through our woven tapestries. How does Lauren inspire you? How does Kassandra inspire you? Lauren: Kass inspires me to ensure that I stop and appreciate life and to enjoy what I do. Being sisters, we have a unique relationship where she knows how to use my strengths and challenges me to improve upon my weaknesses. She is very expressive; it blows my mind when she gets upon the loom with her speed and bursts of creativity. Kass has a go-getter attitude and is never apologetic for the way she expresses herself through her work. She encourages me to practice empathy and to have an open heart and mind for all those that I connect with. Kass: Since we were kids, Lauren has inspired me every day as she has always been the ‘creative’ one that has such an eye for color-choice and composition. Lauren is a graphic designer and I am always in awe of the way she can create amazing things out of nothing and have a vision that is confident and clear. Her strong work ethic always pushes me to do my best, not only in my weaving but, in everything that I do. What's next for Crossing Threads? We have more exciting commissions and collaborative projects ahead. 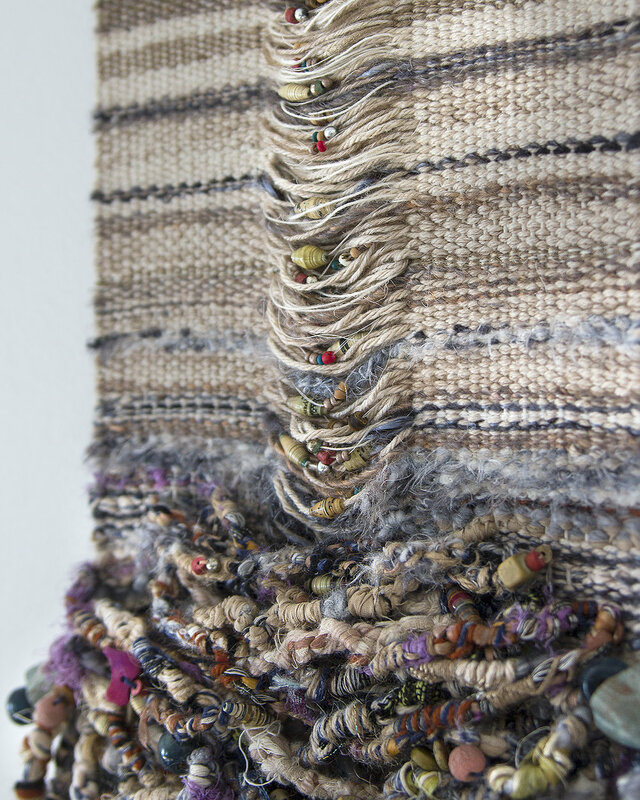 One day we hope to turn Crossing Threads into our primary profession and continue to create fiber art that is distinct and challenges the conventional practices of this traditional art form. We aim to connect with our clients by creating work that is not only aesthetically pleasing but resonates with their life experiences. We also want to continue to play a role in sustainable practices through our use of materials that support of Australian wool growers and minimizing our footprint.